AVC 100 is a modular system for traffic flow evaluation, traffic census and vehicle categorization for storage, transfer and analysis of traffic data. The categorization of vehicles is realized by their speed, length and gap. 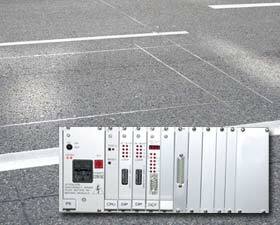 With AVC 100 it is possible to collect traffic data from up to eight lanes. The vehicle categorization can be expanded to an axle configuration by a simple integration of piezoelectric sensors. Different types of hard- and software are available, for instance a version according TLS specifications (BASt – Bundesanstalt für Straßenwesen, Federal Highway Research Institute). The automatic data transfer to a remote control center is ensured with the aid of a sophisticated GSM/GPRS communication management. On basis of a multilevel fault tolerance concept and a permanent monitoring of the data connection a complete data transfer is guaranteed. The Loop Detector AVC 100 can be applied in the context of traffic flow measurements, automatic traffic jam warning systems, speed enforcement systems as well as tunnel warning systems.